Seems like only yesterday that Apple released its iPhone 5S and 5C at a packed-out event in the company’s Cupertino headquarters – and here we are again! Another year, another iPhone – and, as usual, this looks to be a real biggie. 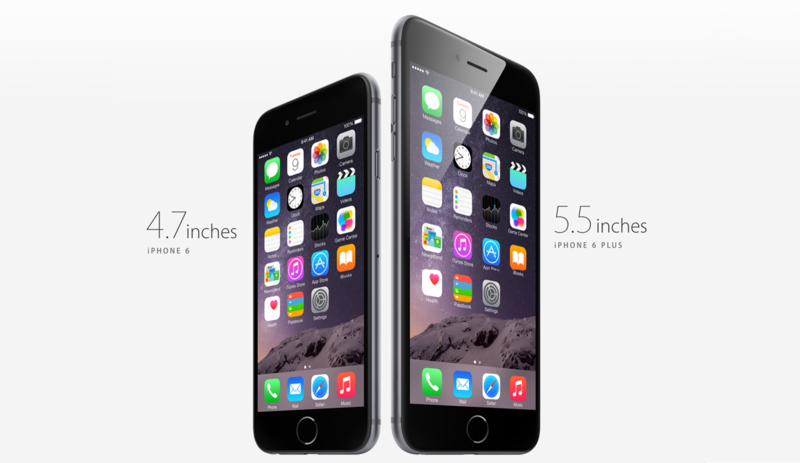 Cook revealed an elegantly designed iPhone 6 device with a larger 4.7-inch screen and a larger “phablet” phone with a 5.5-inch screen: the iPhone 6 and the iPhone 6 Plus. These are the first new iPhones in two years and the hotly anticipated Apple Watch. Apple’s wearable strategy is out there, and the way they’re looking to distance themselves from the crowd is by introducing a smooth, highly usable interface with unique control mechanisms, and creating a device that embraces apps and features beyond notifications, but in a way that makes sense for a small-screened device. The biggest innovation is the introduction of Apple Pay, a mobile payment solution using NFC and Apple’s fingerprint scanner Touch ID. Combined with the new Secure Element chip, Apple Pay finally provides iPhone users with contactless payment technology where a user holds their phone near a payment terminal, and the payment card they’ve set as a default is called up, prompting a Touch ID action where the user authenticates their transaction. “Apple Pay will forever change the way we buy things,” Cook said.